26. בֹּא רְאֵה, בְּשָׁעָה שֶׁנִּמְצָאִים יִשְׂרָאֵל צַדִּיקִים לִפְנֵי הַקָּדוֹשׁ בָּרוּךְ הוּא, מַה כָּתוּב? וְנָתַתִּי שָׁלוֹם בָּאָרֶץ. זֶה לְמַעְלָה. שֶׁבָּא הַקָּדוֹשׁ בָּרוּךְ הוּא לְהִתְחַבֵּר עִם כְּנֶסֶת יִשְׂרָאֵל. אָז, וּשְׁכַבְתֶּם וְאֵין מַחֲרִיד. מָה הַטַּעַם? מִשּׁוּם וְהִשְׁבַּתִּי חַיָּה רָעָה מִן הָאָרֶץ. זוֹ חַיָּה שֶׁל מִין רַע לְמַטָּה. וּמַהִי? אַגְרַת בַּת מַחֲלַת, הִיא וְכָל סִיעָתָהּ. זֶה בַּלּיְלָה. בַּיּוֹם, בְּנֵי אָדָם שֶׁבָּאִים מִצִּדָּהּ, זֶהוּ שֶׁכָּתוּב (ויקרא כו) וְחֶרֶב לֹא תַעֲבֹר בְּאַרְצְכֶם. 27. רַבִּי אַבָּא אָמַר, הֲרֵי פֵּרְשׁוּהָ שֶׁאֲפִלּוּ חֶרֶב שֶׁל שָׁלוֹם, כְּמוֹ פַּרְעֹה נְכֹה. אֲבָל וְחֶרֶב לֹא תַעֲבֹר, זוֹ הַסִּיעָה שֶׁלָּהּ. וְהִשְׁבַּתִּי חַיָּה רָעָה, שֶׁלֹּא תִשְׁלֹט בָּאָרֶץ, וַאֲפִלּוּ הַעֲבָרָה בְּעָלְמָא לֹא תַעֲבֹר עֲלֵיכֶם, וַאֲפִלּוּ חֶרֶב שֶׁל שְׁאָר הָעַמִּים, וַאֲפִלּוּ בֶּן אָדָם מְזֻיָּן לֹא יַעֲבֹר עֲלֵיכֶם. 28. וְאֶת זֶה דָּרַשׁ יֹאשִׁיָּהוּ הַמֶּלֶךְ, וּפֵרְשׁוּהָ שֶׁהוּא נִתְפַּס בַּחֲטָאֵי יִשְׂרָאֵל, כְּמוֹ שֶׁכָּתוּב (איכה ד) רוּחַ אַפֵּינוּ מְשִׁיחַ ה’ נִלְכַּד בִּשְׁחִיתוֹתָם וְגוֹ’. כָּאן יֵשׁ לְהִסְתַּכֵּל, שֶׁהֲרֵי שָׁנִינוּ, אִם רֹאשׁ הָעָם הוּא טוֹב, כָּל הָעָם נִצּוֹלִים בִּגְלָלוֹ. וְאִם רֹאשׁ הָעָם לֹא כָשֵׁר, כָּל הָעָם נִתְפָּסִים בְּחֶטְאוֹ. וַהֲרֵי יֹאשִׁיָּהוּ רֹאשׁ כָּשֵׁר הָיָה וּמַעֲשָׂיו כְּשֵׁרִים, לָמָּה נִתְפַּס בַּחֲטָאֵי יִשְׂרָאֵל? Peace (שלום, Shalom) is the aspect of Yessod. When the Israelites are aligned with the laws of the Torah, they are connected to Yessod and merit the aspect of ‘peace’ and all that comes with it. The “harmful beasts” is the aspect of the Klipot that will be disabled and gone into a resting state. They won’t be able to harm the people. And the ‘sword’ of the other nations cannot hurt the Israelites, not even a single armed person. The Zohar tells about King Yoshiyahu (2 Kings 22) who was righteous but suffered for the sins of the people. The prophet Jeremiah told him to make the people repent but he didn’t do it, assuming that if he was righteous and followed the Torah then the people would do the same. The leaders of people have great responsibility to those they lead. If they lead righteously and ask their people to be righteous then they merit life of peace. If they don’t follow the righteous path then they experience wars and chaos. King Yoshiyahu was killed by the king of Egypt. Leadership is not a prize, it’s a responsible duty. The Zohar brings the example of King Yoshiyahu to teach us that leaders are tested for their leadership and how they influence the people to go on the righteous path. It doesn’t matter if they are righteous themsleves. Many leaders in the world fell and continue falling from their position because they are corrupt. Religious and spiritual leaders that have personal agenda suffer and lose a lot in their lives. In recent years, we read in the papers about political and religious people that served or are serving time in prison. Power and money corrupt people, especially in high places. Leadership is a ‘risky’ position for the soul. Thousands of people read and follow the DailyZohar teachings. I protect myself by using the Internet as a channel and barrier to protect myself from getting too close to people who may ‘cause’ a corruption in my ways. I prefer to be a spiritual leader without a ‘crown’. As a ‘Leo’ I know that being ‘out’ would be a risk to my ego so I choose to avoid the risks. It makes me free to follow and stay loyal to the teaching of the Torah and Zohar. I bring this personal example to teach that everyone should look at the risks on his path and avoid them. Basically, avoid situation that may inflate your ego, especially if you are a rabbi, a teacher, in any position that influences people. 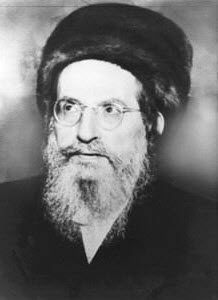 On individual level we need to be like rabbi Nechunia ben Hakana, who gave us the prayer of the Ana B’Koach. He was praying every morning that he would not make mistakes or mislead the people with his teachings. If someone asks you a question, it’s better to say that you don’t know the answer rather than giving a wrong one. That person may continue spreading wrong information and cause many others to go on the wrong direction. That would make you a ‘cause’ (See DZ 2132) for spreading negativity and bring a serious correction to cleanse that negativity.